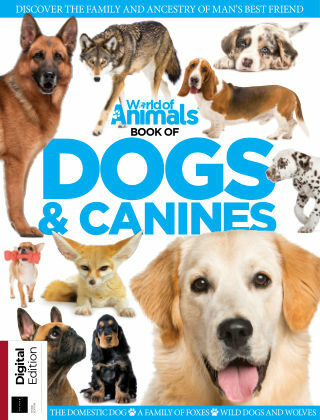 With Readly you can read World Of Animals Book of Dogs & Canines and thousands of other magazines on your tablet and smartphone. Get access to all with just one subscription. New releases and back issues – all included. The Canidae family includes both bloodthirsty predators and meek little lapdogs, but they all show an incredible level of intelligence, emotional awareness, and ability to build social relationships. Whether they are skilled survivors beating the elements or whippets that require winter jackets, this book will cover the wildest of canines and the most docile of dogs. 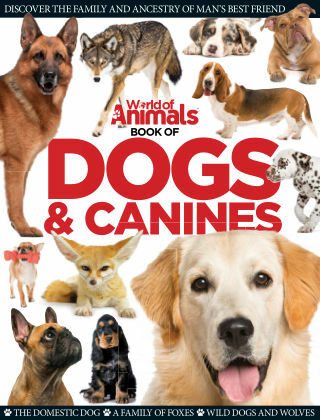 Learn about the history and ancestry of the domestic dog, the versatility of various subspecies of wolf, the wild dogs and foxes from across the world, and how all the species are related. Featuring: Domestic dogs - Come along with us as we track a littler of puppies, take you through the best dog training tips and retrace how long dogs have walked alongside us. Wolves - Discover all the incredible subspecies of wolf, and what sets them apart from their relatives. Wild dogs - Canids can be found almost everywhere in the world, from the African wild dog in Central and South Africa to the dingo in Australia. Foxes - These wily creatures set themselves apart from the other canids with their ability to survive almost anywhere.